The Maisy books will be forever associated with my kids pre-school years. We spent hours and hours learning about all her and her friends adventures. 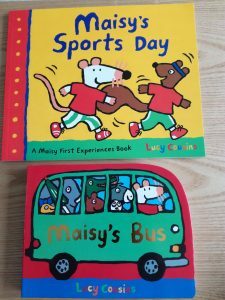 Maisy’s Sports Day is a brilliant little picture book to read to your pre-school or nursery aged child to prepare them for all the exciting activities they will be taking part in. With Sports Day just around the corner this is surely THE book to buy this week for them! 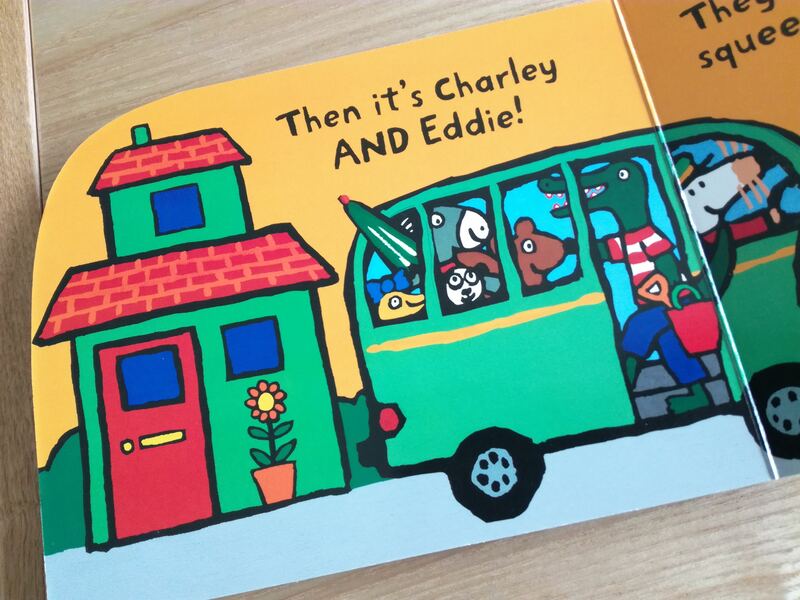 Maisy’s bus is a delightful little book all about the journey to the seaside in a bus driven by Maisy. What a fab book to help prepare your little one for any UK adventures you might be having soon! If you’re looking to build a library for your child then the Maisy books are a good investment as they are bright colourful and appealing. In our household of girls and boys we found that they were the most used books on our shelf between the ages of 1 and 6 because they appeal to both sexes. Have a look at the Maisy website for lots more games and activities.